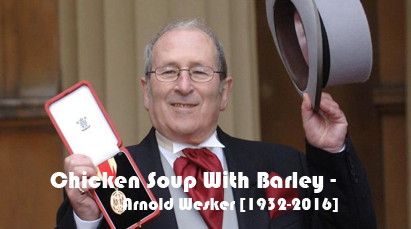 "Chicken Soup With Barley" is written by a famous British dramatist Arnold Wesker (1932-2016). He was the author of 50 plays, four volumes of short stories, two volumes of essays, a book on journalism, a children's book, extensive journalism, poetry and other assorted writings. His plays have been translated into up to 20 different languages and performed worldwide. Arnold Wesker tells much about his early life in his play "Chicken Soup With Barley". This short extract actually deals with theme of family relation in which the wife dominates her husband and children. It is not that the family relation is bad but the problem with the family is that it tends disintegration due to the inefficiency of proper handling. Summary Of "Chicken Soup With Barley"
Sarah, Harry's wife has a dominating character. She shows superiority in family and sometimes quarrels and row arise there. They have a son, Ronnie who washes up pots in kitchen and a daughter, Ada who is married to Dave. Ada wants to go to her husband's house where as Sarah wants her stay there. Sarah blames her husband for not being responsible to the family members. She scolds and humiliates him. He is a strong smoker and makes room dirty. He was very careless and still is the same. Word-meanings in Nepali of "Chicken Soup With Barley"
Nepali Meanings "Chicken Soup With Barley"
English and Nepali Word Meanings Of "Chicken Soup With Barley"
Answer: The age of Ada and Ronnie is not mentioned in the text, however, we can guess their age. Since, Ada is a married woman, she must be above twenty two and her brother Ronnie should be about 18 years old. Answer: Ada has married Dave and she lives with him separately in a two roomed flat whereas Ronnie lives with his parents. Answer: Ada leaves her parent's house saying that she has to write to her husband and has the dishes and pots to wash up. She does not like to be involved in the quarrel of her parents. Answer: Dave must be Ada's husband. Since she says that she has to write to Dave, we came to know that Dave is not at home. Perhaps he is a job holder man and lives away from home. Answer: Ada wants to get rid of the parent's behaviour. She does not like to be involved in the argument of her parents. Ronnie is a practical man and wants to solve the problems by himself. They react differently because Ada is a married woman and she has got her own flat but Ronnie acts peacefully because he has nowhere to go like his sister Ada. Answer: Sarah uses third person to torment her husband. She dominates the whole family and becomes superior. She dramatises the situation so that her husband will be humiliated. Answer: The relationship between Harry and Sarah is not sound. Harry is dominated by her wife Sarah. She always blames him of being lazy and of always going to pictures. She has to rear up all the children by herself. She accuses him of being very inconsiderate towards the children. Naturally the mother (Sarah) is stronger because she dominates the whole family. She has got power in the family and is capable of running it without any problem. Answer: Harry was not a good and considerate father because he does not care about his own children. He is very indifferent towards his daughter when she leaves home. Instead of taking care of the children, he goes to west to see the pictures and goes to his mother's place and friend's house. He never helped his family member and did not show any affection to his daughter Ada and son Ronnie. Therefore he is an inconsiderate father. 3.2 Discuss the following points in class. Answer: Yes, I agree with Ronnie's opinion that the problems can be solved to some extent by talking about them. The suppressed ideas should be exposed clearly before the family members. We can come to the point by discussing the problems from different angles. If everyone in family wants to live alone like Harry than the family will be disintegrated. There will be communication gap between the family members and the problem will be increased instead of being solved. So, to avoid any misunderstanding or problem in family, the only way is to discuss among the family members. Answer: Sarah has interpreted her role for taking care of her children. A mother has a great responsibility in family. She has to wash the dishes, cook food and feed them. In my opinion the mother is to run the family wheel smoothly without any accident. Mother has very great responsibility in the overall development of the children as well as other family members. 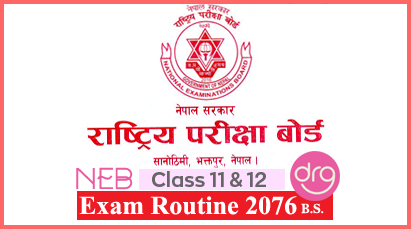 0 Response to "Chicken Soup With Barley | Summary | Word Meanings | Question Answers | Class 11"